Discover your "Why" and claim your calling? Craft songs you love from the most authentic you? Proudly state that you are a musician or songwriter when someone asks? Know that your music makes a difference in the world? Wake up every day and step into your studio with a solid plan, knowing exactly what you're here to do? You are here to make music. Part of you knows this, but it keeps getting lost along the way. Or buried under a pile of other people’s needs. You're smart, kind and talented. You know how powerful creativity is and you would love nothing more than to spend your days immersed in it. You would do anything to be the musician or songwriter you were born to be and have all the time in the world to create. The problem is you've been depleted by the work you have put in with little or nothing to show for your efforts. Some part of you stopped believing. You convinced yourself that it’s too hard. You care so much about other people that you buried your own needs and desires. You’ve prayed, cried, set your intentions, tried telling yourself to forget about it and that it doesn’t really matter. So seriously… WTF? Why is it so hard? Trust me! I used to be the quintessential too-busy for myself, not-good-enough, suffering musician. I used to feel guilty about spending time writing music. The Inner Critic told me it was a frivolous luxury and consistently reminded me of past efforts that had not turned out the way I had hoped. The voices became so cluttering I would nearly pass out every time I sat at a piano. I was exhausted by it all. My Inner Critic was debilitating and harsh. I quit for years at a time. It wasn't until I finally figured out that my overwhelm (and my Inner Critic) held the key to my creative freedom that my life as a musician and songwriter took center stage. What if I told you that your Inner Critic (the one that you’ve tried to banish), actually held the key to your creative freedom? What if you knew that there was a way to stop sabotaging yourself (forever) and speak your truth through your music? What if I told you that consistently making music wasn’t rocket science? musicians, songwriters and artists who struggle to believe in themselves. I used to tell myself that I wasn’t a real artist because I didn’t have a degree in art. What are 3 concrete things that have changed in your life since starting the program? Complete belief that this is my purpose. More trust in my gifts - artistic and otherwise. What 3 artistic accomplishments are you most proud of? Exhibiting my work internationally in Prague. Sent in a proposal for a solo exhibition and got it. Mentoring middle and high schoolers and apparently I’m pretty darn good at it! I was overwhelmed by the daily grind. My art practice was at best, unfocused, at worst, nonexistent. I call myself an artist. I regularly show and sell my art. I have a website, a growing body of work and a growing number of followers. What 3 artistic accomplishments are you most proud of? I spent 18 days on an artist residency in North Wales. Booked my first solo show. Being part of the Becoming Artist Movement and showing in Prague. I felt unmotivated and stale. I believed that I would be seen as too old and that I wouldn’t be taken seriously. I have a studio space away from home. I feel content within myself. I'm not so judgmental about my work. What are 3 artistic accomplishments that you are most proud of? A year long residency with St. Vincent's Hospital (Melbourne, Australia). Being selected to exhibit in Platinum - a small group show of printmakers. Received a Collie Trust Scholarship for Emerging Victorian Printmakers. SHARON PAQUETTE is Singer-Songwriter, Teacher and Music Coach/Facilitator for the Becoming Artist Movement. As a Singer-Songwriter she uses carefully crafted recordings and performances to move Self and Others through emotions. When not songwriting she helps other musicians and songwriters discover their Why, craft authentic songs they love and know that their music makes a difference in the world. Born in Ontario, Canada she is a licensed teacher who holds a Bachelor of Musical Arts in Voice and Bachelor of Education from the University of Windsor, and Songwriting Certificate from Berklee College of Music, Boston. Named one of Las Vegas Weekly’s top 5 singer-songwriters in 2009, opened for Imagine Dragons 2010, and Co-Founded “Resodence: Local Sound” Songwriters Showcase in Las Vegas. "I’ve taken this course myself and went from simply giving myself permission to have a few hours a week with a babysitter to quitting my job, spending 20 hours a week in the studio, working with a songwriting coach, recording a 4 song-EP in Nashville and starting a successful business as a DIY Artist." Learn how to break through your own personal glass ceiling and the bad habits that stop you. Once you know what to expect and when, resistance, procrastination and Upper Limiting will not longer stop you, but serve you. Everything changes when you finally bring those gnarly internal voices into the light. Through guided reconciliation processes and powerful inner dialogues you'll come into a healthy, loving relationship with your Inner Critic. Imagine that! discover a voice, and the art that is truly your own. Learn how to bring ALL OF YOU to your art and let the work bubble up from the core of your being. in a safe community of international artists who will have your back, see your art, cheer, clap, swoon and provide the kind of feedback you actually need. weekly lessons and journal prompts delivered to your inbox. 2. A downloadable, printable workbook to work through course content and record your discoveries. 3. Regular Group Check-In Calls with Sharon - your Accountability Ally. 4. Support, feedback and friendship from an International Group of Artists in an active Facebook group. 4. Monthly Office Hours with Jessica and Livestream video responses to your big, burning questions. Time to make money from your art? This 10 Step Guide will teach you how to set juicy money goals and achieve them. Sell Art the Sacred Way. This course begins periodically throughout the year, but it is also evergreen, which means that it is available to you at anytime. As soon as you register you will receive a Welcome Email with all of the information you need to get started. HOW LARGE IS THE GROUP OF ARTISTS? There is no limit to enrollment. The more artists contributing their vital, no holds barred energy, the merrier. This support group operates online and through a Facebook group. Action steps and course content are delivered via email and available through an online platform called Ruzuku. We don’t meet in the flesh, though of course you are welcome and encouraged to organize that with members of the group who are in your neck of the woods. WHO CAN JOIN? WHAT TYPE OF ARTIST IS THIS FOR? 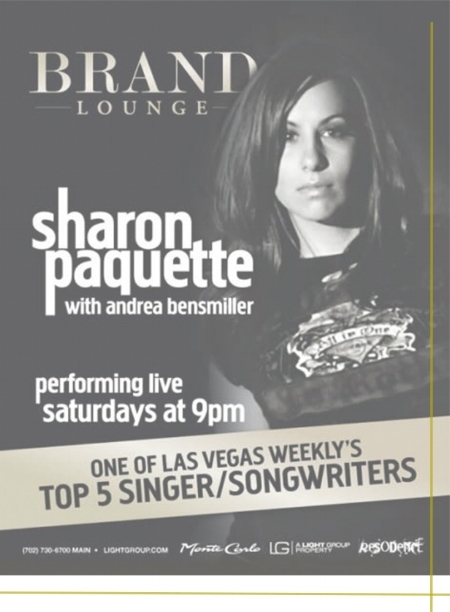 Sharon is a songwriter and works primarily with lyricists, musicians, singer-songwriters and vocalists. Jessica Serran is a visual artist myself who works primarily with painters, illustrators, photographers, mixed media artists, animators, textile artists, designers, sculptors, installation artists, craftspeople and those working in social practice, but of course it’s not limited to that. The only requirement is that you register and pay and follow the instructions you receive. In the meantime, go ahead and add me as a friend on Facebook if we’re not already and you could re-arrange or ahem, start dusting your studio space. WHAT IF I DON’T HAVE MY OWN STUDIO SPACE OR PLACE TO RECORD? Doesn’t matter. Perch in the bedroom, piano in the living room, keyboard in the closet (yes, I’ve had one of those), coffee shops, journals - as long as you have the desire to consistently create you’re all set! Having an actual studio is great, but it’s not a requirement. I HAVEN’T MADE ART IN SUCH A LONG TIME, WILL THIS HELP ME TO EASE BACK INTO IT? Absolutely. I have transmissions and things to say about that along the way. You can go as slowly as you like. The idea is to help you determine and craft the most healthy, loving, supportive pace and processes that works for you. I USED TO DREAD CRITIQUES IN COLLEGE. WILL THIS BE LIKE THOSE? Oh no no no. ABSOLUTELY NOT. There will be the opportunity for feedback, but I make it very clear how we do that and that we do it in a safe, supportive and healthy way. Plus, I only attract the most kindhearted and supportive souls. WHAT IF I’VE NEVER STUDIED ART FORMALLY? You’re fine. That is not a prerequisite to being an artist or to being in this group. Just know that I won’t be teaching specific art making techniques. We’ll focus more on process than product. WHAT IF I’M NOT SATISFIED OR IT’S JUST NOT QUITE RIGHT FOR ME? This course was developed by Jessica Serran. Jessica Serran is an International Artist and the Leader of the Becoming Artist Movement. Her ability to see the genius in others and give them permission to step into it, combined with a seamless blend of intuition and logic are the force that is ushering more authentic, full-bodied creativity into the world. Lit up by marketing as much as art making, her coaching programs are changing the limiting beliefs and starving artist paradigms that hold so many artists back. Born in Ontario, Canada, she holds an MA in Transformative Art from John F Kennedy University in Berkeley, CA and a BFA in Illustration from the College for Creative Studies in Detroit, MI. Recently named a Leader of the New Cool in Prague, she has exhibited and published her work in the Czech Republic, Slovakia and across North America; been featured in Art 21, The Prague Post, The San Francisco Chronicle, Detroit MetroTimes, Holistic Fashionista Magazine and was a 2014 Creative Mornings guest speaker on the topic of Color.